What are different kinds of moʻolelo? Do you have a favorite moʻolelo? What do you like about it? How did you learn about this moʻolelo? What is the importance of moʻolelo? Some of the best moʻolelo aren’t written in any book and are of people we know and love. Ask your aunties, uncles, or grandparents about what your parents were like when they were little, and if they have any funny memories of them. Write down the moʻolelo, illustrate it, and surprise your mom or dad with it. What does the moʻolelo tell you about your makua? Are those characteristics of your makua still evident today? How are mele (traditional Hawaiian poetry and song) connected to moʻolelo? If you could write a song about a moʻolelo from your own life, what would it say? He makemake koʻu e pololei ka moʻolelo o koʻu one hanau, ʻaʻole na ka malihini e aʻo iaʻu i ka moʻoʻōlelo o koʻu lāhui, naʻu e aʻo aku i ka moʻolelo i ka malihini. I want the moʻolelo of the sands of my birth to be correct; it is not the foreigner who shall teach me the moʻolelo of my people, I shall be the one to teach it to the foreigner. What kind of stories do you like? Do you like spooky stories? Funny stories? Sad stories? 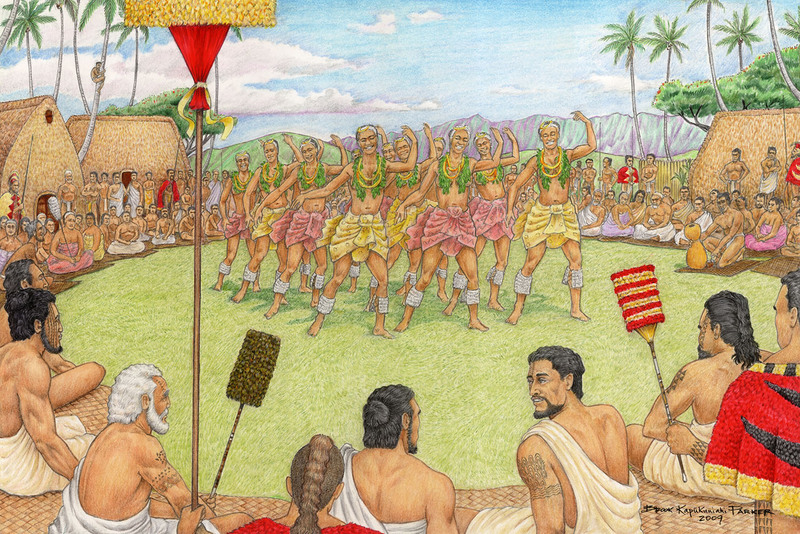 Hawaiians, from traditional times up until today, love all these kinds of stories and more! The Hawaiian word “moʻolelo” most often gets used to mean story, but it can also mean other things, such as history, legend, genealogy, tradition, and so on. When you look at the words that make up “moʻolelo,” you can get a better sense of how Hawaiians understood these things. 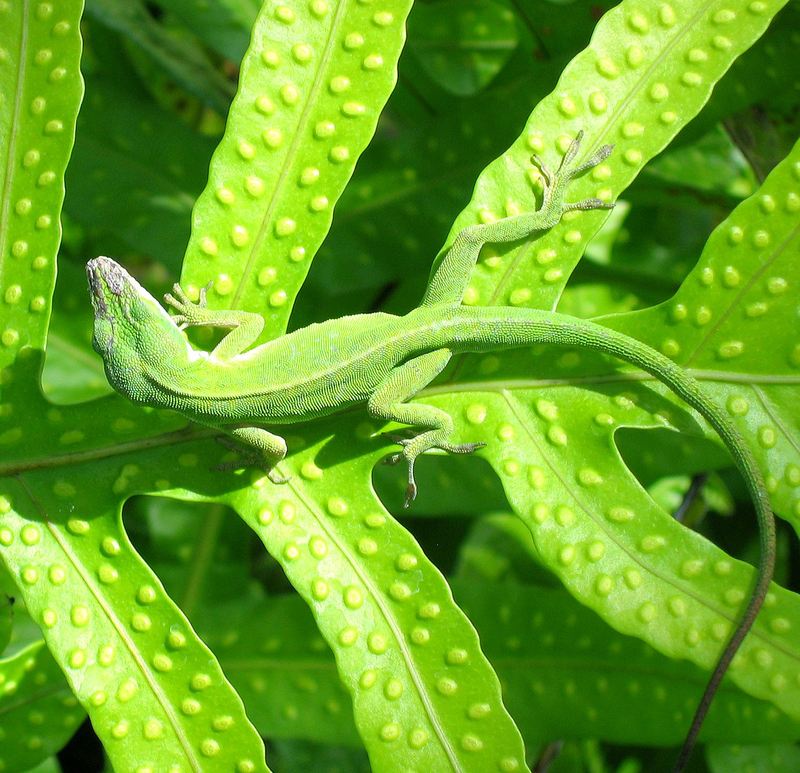 It is made up of “moʻo” and “ʻōlelo.” Many of you probably already know the word moʻo and see their scaly green lizard bodies crawling along the wall. The meaning is a little different here though. If you ever see a moʻo’s skeleton, you will see how its backbone is made up of similar yet slightly different bones that line up one after the other. That is why “moʻo” also means succession. It is a series of things that come one after the other, like points of a mountain ridge, something else that is called a moʻo. “ʻŌlelo” is the Hawaiian word for language or speaking, and some people say that that word is connected to the word for tongue: “alelo.” When you put the meanings of “moʻo” and “ʻōlelo” together, you see that “moʻolelo” means something like “succession of talk” or “succession of language.” This refers to how stories were told in traditional times here in Hawaiʻi. Before Hawaiians took up writing, their brains were their books and notebooks. Everything was transmitted orally and memorized. Moʻolelo were passed on when people just sat around talking, or more formally through a storyteller or orator, or even through hula and mele. Storytellers were highly valued by Hawaiians because they knew the histories of places and the genealogies of chiefs. Besides, everyone loves a good story! Hawaiians already had a strong tradition of oral literature and poetry when the missionaries formalized the alphabet in 1826, but Hawaiians still took to writing like fish to water. By the mid- to late-nineteenth century, the Hawaiian kingdom had one of the highest rates of literacy in the world, higher than most places in the United States! And one of their favorite things to write and record were moʻolelo. Hawaiians had over 100 newspapers between 1834 and 1948, and all of them were written in Hawaiian! 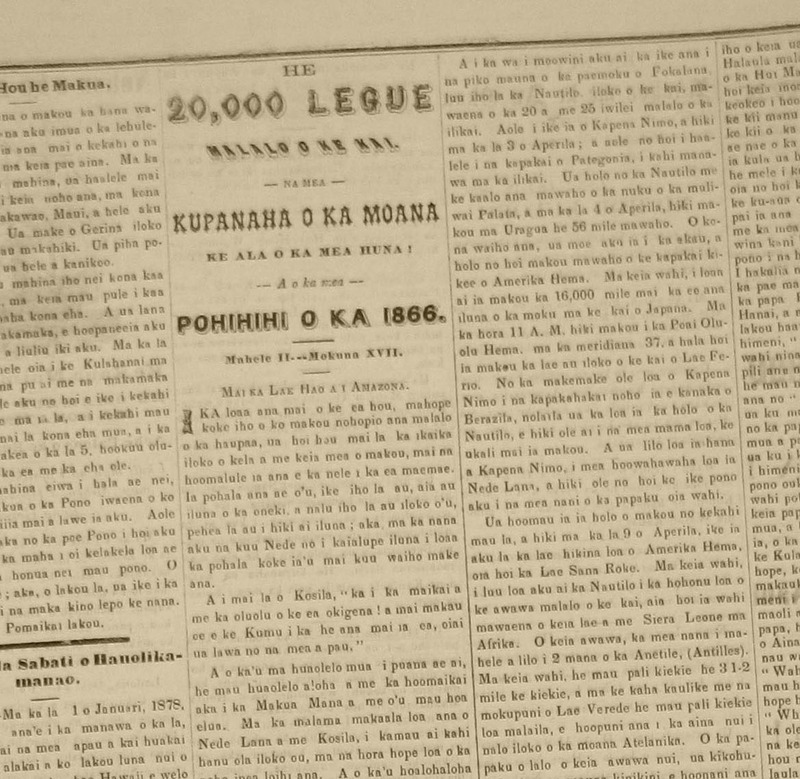 After control of the newspapers moved from the missionaries to Hawaiians, moʻolelo were often front-page news. When Robert Wilcox led the armed rebellion to get rid of the Bayonet Constitution, something that would be in big bold block letters on the front page of the Star-Advertiser, the two newspapers being printed at that time ran stories about it on page two because moʻolelo always appeared on the first page. The newspapers of the time had moʻolelo about everything from Hiʻiakaikapoliopele, ʻUmi, Kawelo, Kamapuaʻa, and Koʻolau and Piʻilani, to Hawaiian history and culture, to biographies of people such as Abraham Lincoln, to fairy tales, 20,000 Leagues Under the Sea, The Count of Monte Cristo, and Shakespeare’s The Tempest. Moʻolelo in the Hawaiian-language newspapers were like the blockbuster movies of their day. Everyone would be excited when a new story came out, and families would often read the stories out loud to their friends and neighbors who gathered around. Moʻolelo were so popular that publishers would threaten to stop publishing them in the nūpepa if the people didn’t pay their subscriptions! Our kūpuna loved stories because they were entertaining, funny, sad, inspiring, and exciting. But that wasn’t the only reason Hawaiians treasured moʻolelo and passed them on to future generations. They were also tools that taught people about pono behavior, cultural values, respecting the land and our gods, and the importance of traditions. Not only did you have fun hearing a story, you learned at the same time. Also, knowing the stories and genealogies of your place meant that you always knew who and where you came from and felt a responsibility toward them. Moʻolelo were told and retold at different times, depending on the lesson that the teller wanted to get across. Certain moʻolelo were printed in the newspaper when the editors wanted to send particular messages. For example, when the moʻolelo of Kamehameha I was printed in 1906, there were many lessons the author Hoʻoulumāhiehie wanted to get out to the public. 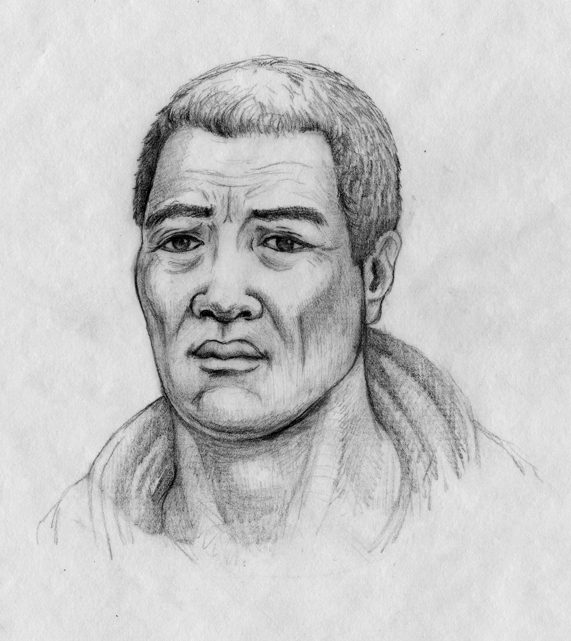 One important message was that Kamehameha had not been afraid to use Western technology and ideas in a Hawaiian way to fight for the benefit of his people, and so the author wanted his readers to follow Kamehameha’s example and use the Western practice of voting to work for the benefit of their people. 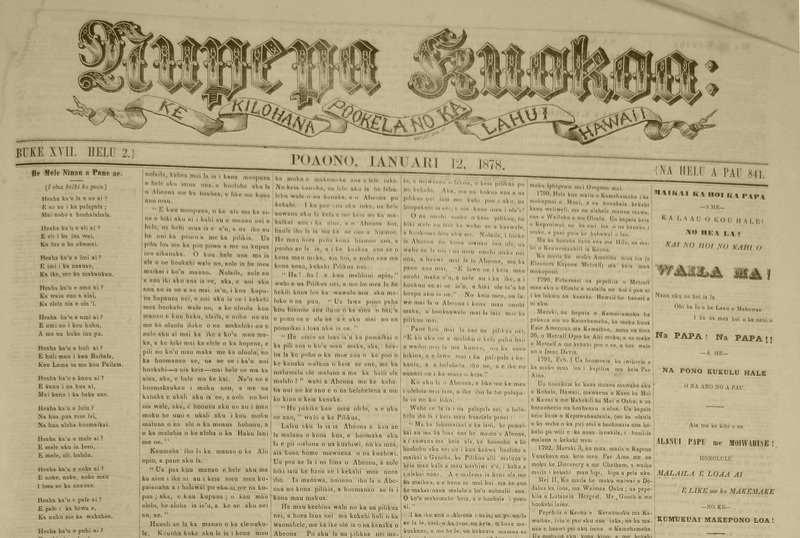 In the hundred years that the Hawaiian-language newspapers ran, over ten different versions of the moʻolelo of Pele and Hiʻiakaikapoliopele were published. Now that’s a lot of mana! Hawaiian moʻolelo are very powerful and treasured, but they have also been misused and retold in ways that don’t do justice to the stories or the culture that they came from. Moʻolelo about our gods are often presented as cute superstitions or ancient relics that have no place in the modern world. Without knowing these moʻolelo in their true forms, it’s harder for us to know our true place in the world. One of the problems with the way these moʻolelo get passed on is that people rewrite or retell moʻolelo without learning about the original. The Hawaiian word for a version of a moʻolelo is “mana.” Many of you have probably already heard of mana as the spiritual power that resides in all things. Both meanings of mana can help us remember that the more versions of a moʻolelo there are, the more mana it has. We just have to make sure that the mana is beneficial to people, and not something that would hurt them. When people fulfill the kuleana that they have to these stories, and re-present them in ways that are respectful and based in knowledge of Hawaiian traditions, then the mana is strong and constructive, helping to empower our stories and ourselves. And retelling these stories can be fun! Imagine if you could play a version of the story of Kamehameha with awesome graphics and cut-scenes on your Xbox or Playstation. Or imagine reading a comic book version of Hiʻiakaikapoliopele and seeing how heroic our ancestors were. Or imagine watching a big-budget film of Keaomelemele at the theater with fancy special effects and Hawaiian dialogue. We can do it. You just have to give good mana to these stories!